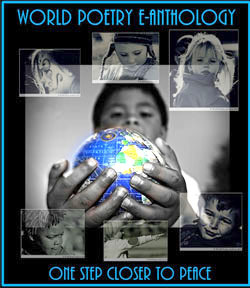 World Poetry Celebrates Charles Officer Once Again! The Ariadne’s Notes: The World Poetry Café Radio Show , 100.5 FM, CFRO was honoured to feature once again the talented director and filmmaker Charles Officer (http://worldpoetry.ca/?p=12208) Charles. with his new, must see documentary, Invisible Essence: The Little Prince now available across Canada. The film is now at the Carlton cinema in Toronto all week. It was so exciting to have him call in at 1:30 pm PST from Toronto! Of all his films, my favorite was Unarmed Verses, the story which explores youth and race-related issues in the city of Toronto in the aftermath of the shooting of Trayvon Martin in the United States through the experiences of Francine, a 12-year-old girl and poetess, living with her father and grandmother in a northeast Toronto neighbourhood facing demolition and reconstruction. Charles still keeps in touch with this courageous young woman, now 16 who is doing well and has a poetry blog . 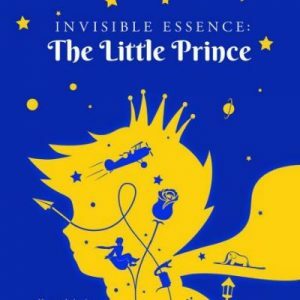 Invisible Essence: Little Prince, a Must See Film available all across Canada! Existentialism is a big word. But for 76 years, for a readership barely old enough to read, Antoine de Saint-Exupéry’s The Little Prince has conveyed the importance of asking who we are, what connects us to others, and how we should live. It is a puzzling story, devoid of a conventional happy ending. And yet, as we see in Charles Officer’s acclaimed documentary Invisible Essence: The Little Prince, this story of a stranded aviator who encounters an elegant alien child in the Sahara, has become the most read book after the Bible – selling an average of two million copies a year in 300 languages. Invisible Essence: The Little Prince explores the global legacy of The Little Prince 75 years after its publication. Weaving the author Antoine de Saint-Exupery’s extraordinary biography with fascinating discussions from key sections of the book, exploring ways life and art can reflect in curious ways. And in telling the author’s own story of a child who suffered the loss of a father and beloved brother, and who found “himself” as an aviator for the French air-mail company Aeropostale, flying alone over no man’s lands. Working imaginatively with the famous line “what is essential is invisible to the eye”, the film introduces a modern-day Little Prince – a cheerful, seven-year-old blind Pakistani-Canadian boy who encounters The Little Prince, via braille and audio-book, for the very first time, and grapples with the meanings of the story he has just read. Invisible Essence: The Little Prince tackles its subject from different angles, with footage from various film versions (live-action and stop-action animated), academic insights from scholars and archivists who’ve devoted their lives to Saint-Exupéry and his message, and – most poignantly – as it applies today, such as Mark Osborne (director of the animated film “The Little Prince”), Adam Gopnik (Staff Writer at The New Yorker), Rupi Kaur (Poet, New York Times Bestselling Author), Stacy Schiff (Pulitzer-Prize-winning biographer of St-Exupéry), and Olivier and François d’Agay (the great nephew and nephew of Antoine de Saint- Exupéry). Although a fable, Antoine de Saint-Exupéry’s transcendent story suggests an ethical philosophy about life in its own way, a code of respect for humanity. Officer’s directorial debut, When Morning Comes, premiered at the 2000 Toronto International Film Festival (TIFF). 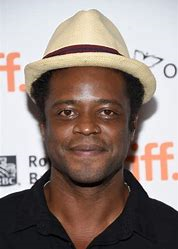 His other work includes the short films Short Hymn, Silent War (2002), Pop Song and Urda/Bone (2003), a music video for K’naan’s “Strugglin'” (2005) and television pilot Hotel Babylon (2005). He is a frequent collaborator of Canadian filmmaker and actress Ingrid Veninger, having worked on numerous projects with her, including the short film Urda/Bone, which screened at the New York Film Festival in 2003. The short film was later picked up for distribution by Mongrel Media. Veninger also produced his feature film Nurse.Fighter.Boy. The 57th Berlin International Film Festival selected his feature screenplay Nurse. Fighter. Boy for its Sparkling Tales writer’s lab in 2007. Inspired by Officer’s sister’s battle with sickle cell anemia, the film was produced while Officer was a student at the Canadian Film Centre. The film was shot over 23 days with a hand-held camera shot on location in Toronto, in areas where Officer grew up, including the back alleyways of Eastern Avenue; Woodbine and Danforth Avenue; and a boxing club in Cabbagetown where Officer had learned to fight at age 13. Nurse . Fighter. Boy premiered at TIFF 2008 and won the Audience Award at the International Film festival Mannheim-Heidelberg and the audience award for Best in World Cinema and a jury prize for Best Cinematography at the Sarasota Film Festival. It was also released theatrically in Canada on February 2009. In April 2009, production began on Officer’s feature documentary about Harry Jerome. The film was completed in 2010. In 2009 Officer directed two short films for the cross-platform project City Sonic. Officer, along with six other directors, shot 20 short films about Toronto musicians and the places where their musical lives were transformed. Officer directed films starring D-Sisive and Divine Brown. In June 2015, Officer completed principal photography in Toronto on a National Film Board of Canada documentary entitled Unarmed Verses, produced by Lea Marin, which explores youth and race-related issues in the city of Toronto in the aftermath of the shooting of Trayvon Martin in the United States through the experiences of Francine, a 12-year-old girl living with her father and grandmother in a northeast Toronto neighbourhood facing demolition and reconstruction. The film was named Best Canadian Feature at the 2017 Hot Docs Canadian International Documentary Festival. In October 2017, it was named Best Canadian Documentary at the Vancouver International Film Festival. This entry was posted in Ariadne's Notes, E-Poets, Featured Filmmakers, Featured musicians and artists., Featured Poets, General and tagged Author Sharon Rowe, Charles Officer, GAT PR., Ingrid Hamilton, International Peace Award Ariadne Sawyer, Invisable Essence. The Little Prince, Victor Schwartzman, Wikipedia on March 14, 2019 by Ariadne.